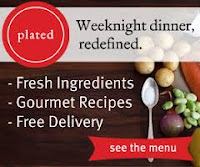 When the Plated Food Delivery Service first appeared on Shark Tank in Season 5, co-founders Josh Hix and Nick Taranto completed a deal with Mark Cuban for a $500,000.00 investment. The exact deal was a little sketchy but for the half a million investment Cuban would receive 5.5% to 5.6% with a total valuation just under $10 million for the Plated Food Business. Considering the business was barely two years old and not making a profit, even for Mark Cuban this seemed like a very reasonable deal. Unfortunately, after the Shark Tank Episode when Mark Cuban did a follow-up with Nick and Josh, they had second thoughts about the deal made during the Show. The business was growing at a substantial rate, and, as a result, decided to renegotiate the deal made on Shark Tank. Really? They had the wealthiest Shark on the hook and surprisingly let him get away. If you're trying to tick Mark Cuban off, just try changing the terms of an already agreed upon deal. Needless to say, Mark walked away from the deal at the same time Plated desperately needed a large investment. Within four Months of the deal falling through with Mark Cuban, Plated Delivery Service was financially struggling with no Angel Investors in sight. The business couldn't keep expanding without a capital investment, and needed to start laying off some of the employees. At a chance encounter at a News Event, Nick runs into Kevin O'Leary, who seems interested in how the deal with Cuban was coming along. When told the deal with Mark never closed, Mr. Wonderful decides to take a closer look at the Plated Business. A few days later an investment deal with O'Leary closed for an unspecified amount, but most likely he got a better deal than Mark did on the Shark Tank Show. Whatever percentage Kevin O'Leary owns of Plated Gourmet Delivery, it turned out to be a perfect partnership for all parties involved. Plated Food Delivery is now doing 10's of millions in sales from this barely three year old company. During the Beyond The Tank Update, Josh points out Plated Delivery's now doing twenty times the revenue since meeting the Sharks in the Shark Tank. The business has fulfillment centers scattered around the country and can serves 95% of the U.S. population. The Show focused on the largest fulfillment center opening up in Chicago that's gigantic in size. The logistics how they opened the new Plated Food location was very impressive and worth watching a few times. How big is the potential market for the Gourmet Food Delivery? We'll, according to Kevin O'Leary, delivering ready-to-cook gourmet meals will become a $2 billion market in the near future. If there's one company positioned to capitalize on this growing trend, it's definitely the Plated Food Delivery that's opening up a fulfillment center near you soon.